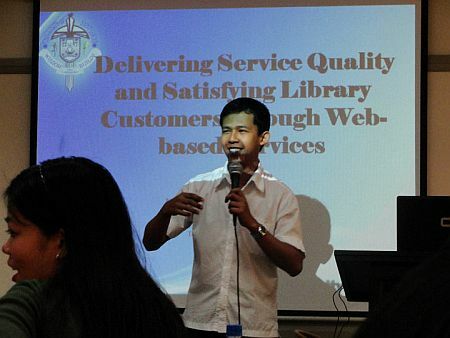 Posted by editor in Company, Library, Library Automation, Philippine libraries, Trainings & Events. 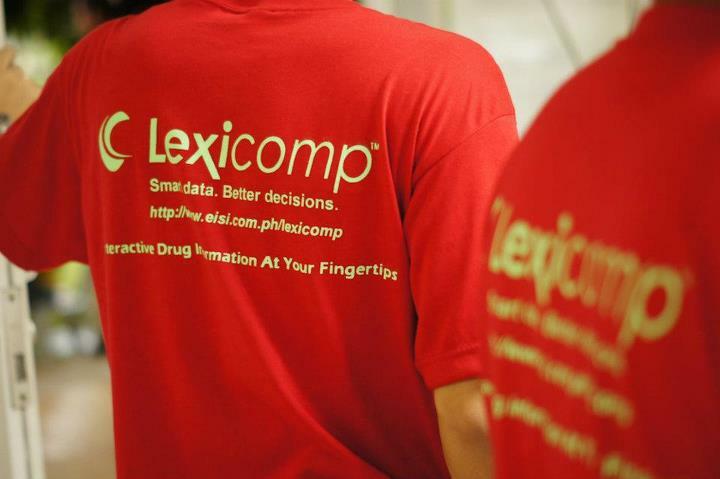 Last January 22, 2011, twelve employees and associates of Electronic Information Solutions Inc (EISI, Makati, Philippines) took time out of their busy schedules to volunteer for a worthy cause. 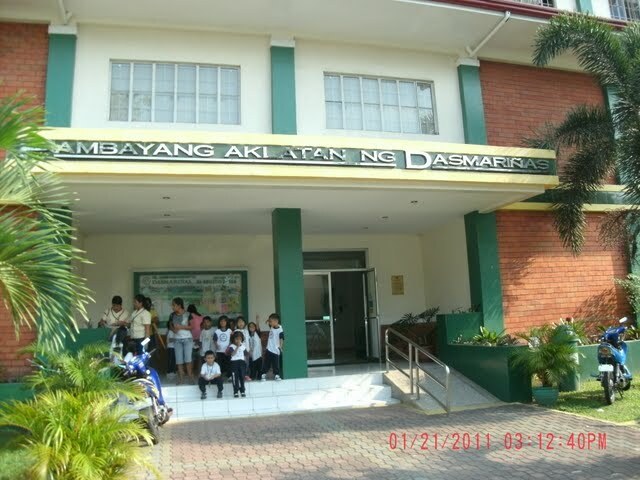 They came to organize, deliver and turn over books donated by UST Engineering Batch 1986 (USTEng86) to the Aklatang Panglungsod ng Dasmarinas (APD, Cavite). 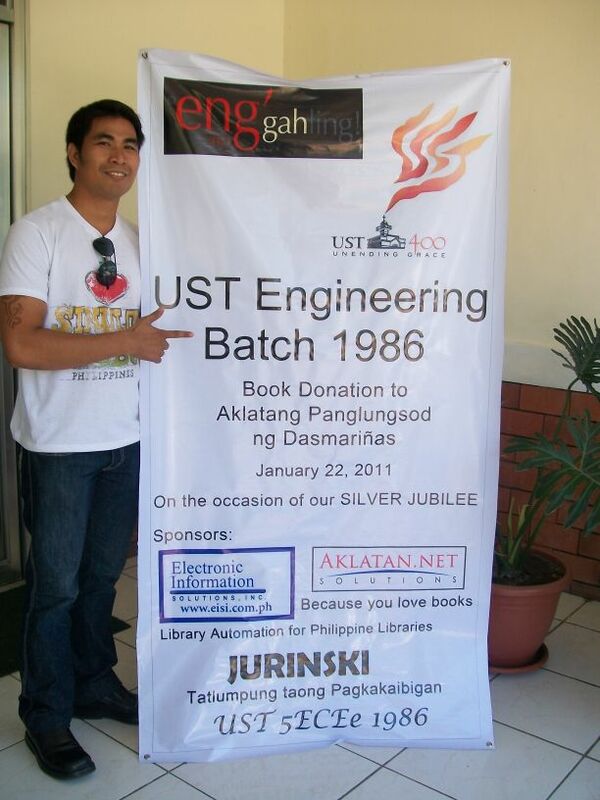 The book donation was a silver jubilee activity of USTEng86 and was initiated by EISI Managing Director Reuel Avila, who is an alumnus of UST College of Engineering. 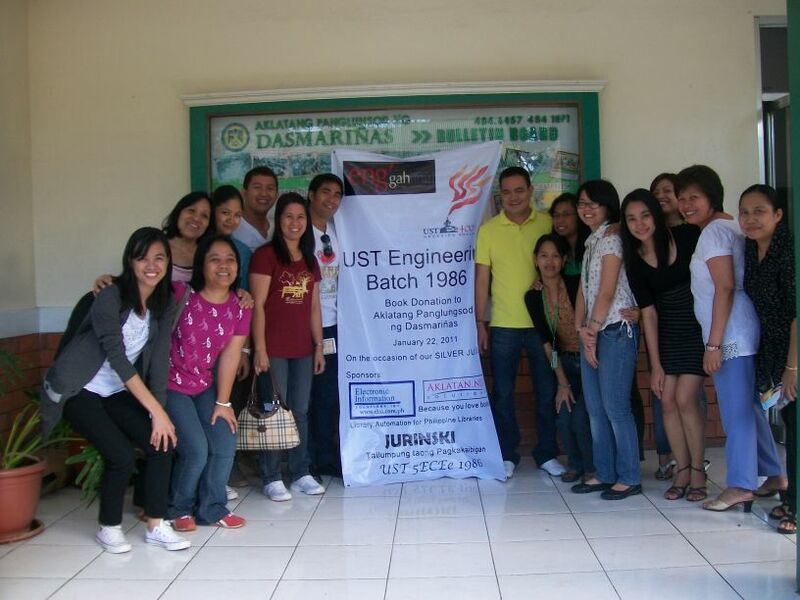 USTEng86 alumni were able to gather around 130 books which was labeled, sorted and boxed by EISI volunteers. Aside from donating its own share of books, EISI likewise provided food and transportation for the volunteers and the several boxes of books. More books will be solicited throughout 2011, for which EISI employees volunteer their services to prepare the donations and transport the books to the library. 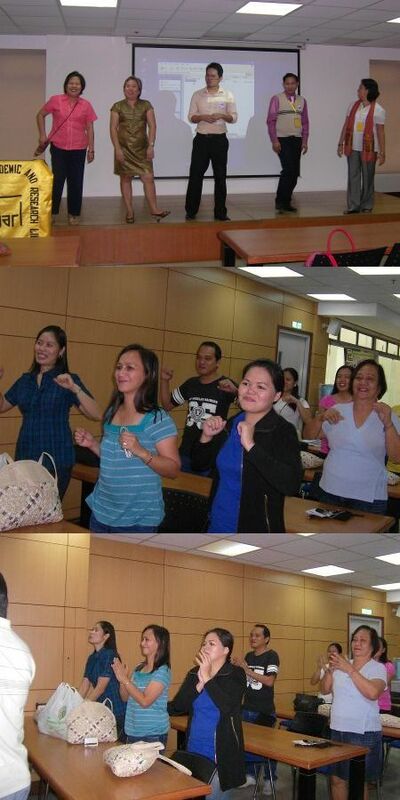 The staff of APD prepared a short program to mark the donation turnover ceremony. 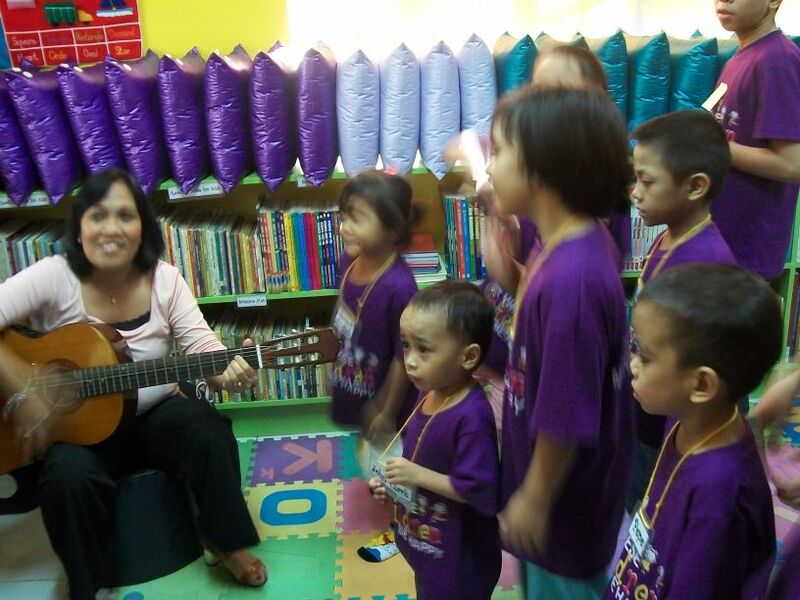 A handful of kids from a nearby street children shelter were treated to a story-telling session conducted by Mrs. Grace Babol, EISI Area Representative. 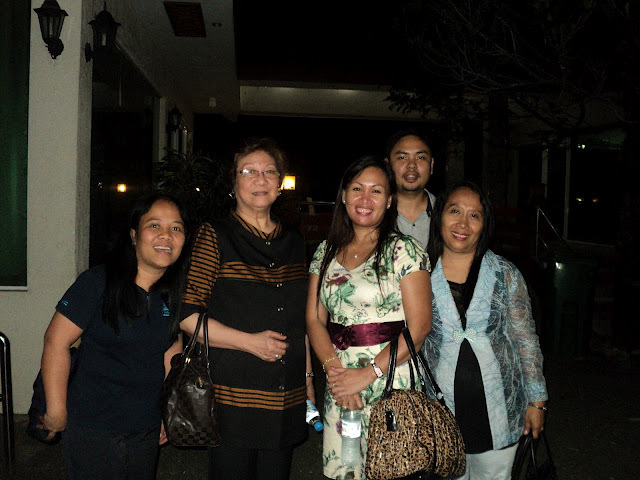 On hand to receive the donations were City Councilor Hon. 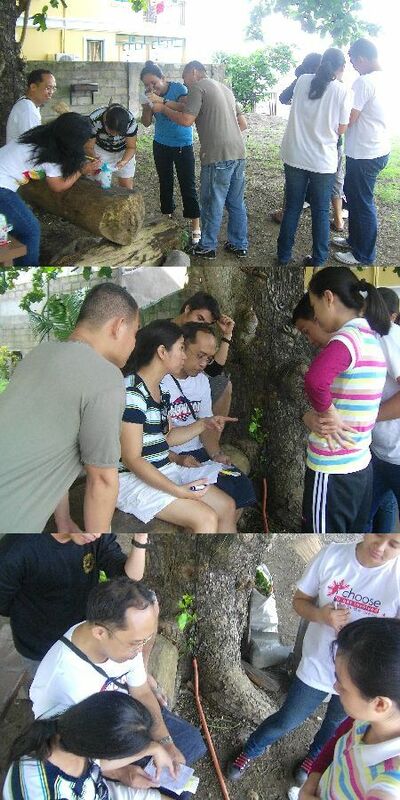 Jacinto B. Frani, Jr, Ms. Vanessa Olaes, Officer-in-charge, APD, and Ms Sonia Gementiza, APD consultant. APD is a priority project of Mayor Jennifer Barzaga with the cooperation of Congressman Elpidio F. Barzaga Jr. of the 4th District of Cavite. It provides an extensive collection of books, a children’s area, a theater, computer facilities and numerous community activities year round. 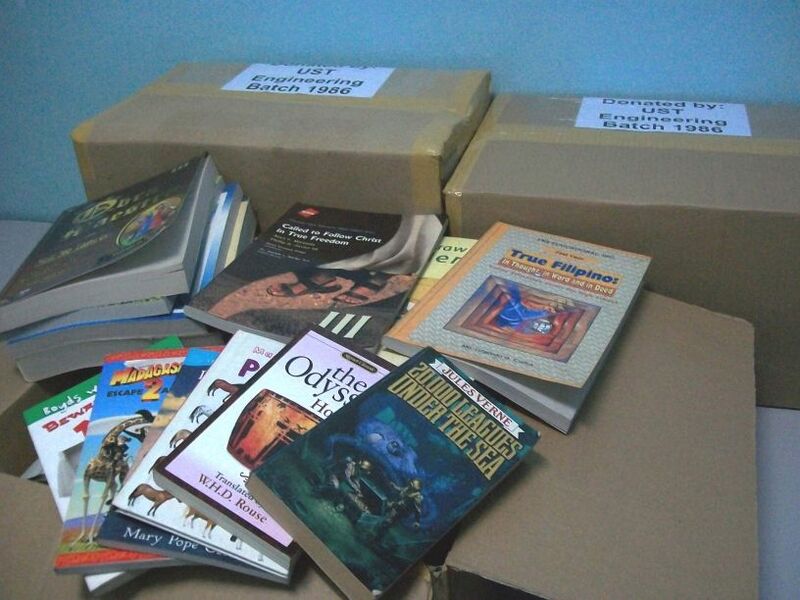 The donated books will be used in the library or disseminated in the various barangay reading center. 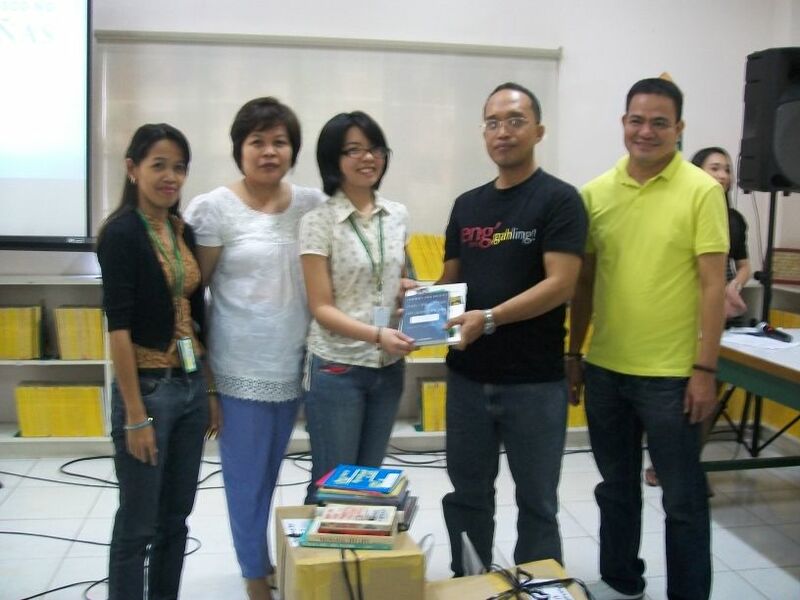 We are pleased to do our small part in promoting literacy in our country. 2. 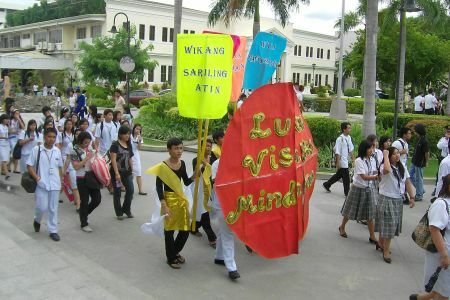 ALBASA 36th Annual General Assembly and Book Fair, on May 19-21 2010 at Grand Convention Center, Cebu. 5. 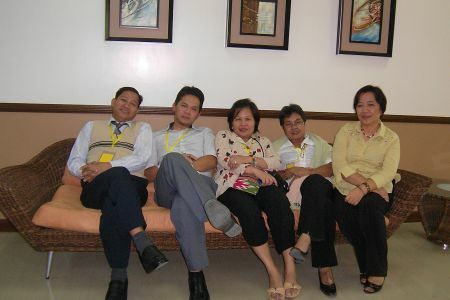 PAARL Workshop on August 19-20, 2010 at Holy Angel University, Angeles City, Pampanga. Theme: Library and Web 2011 For Readers, Technical and Archive Services. 6. 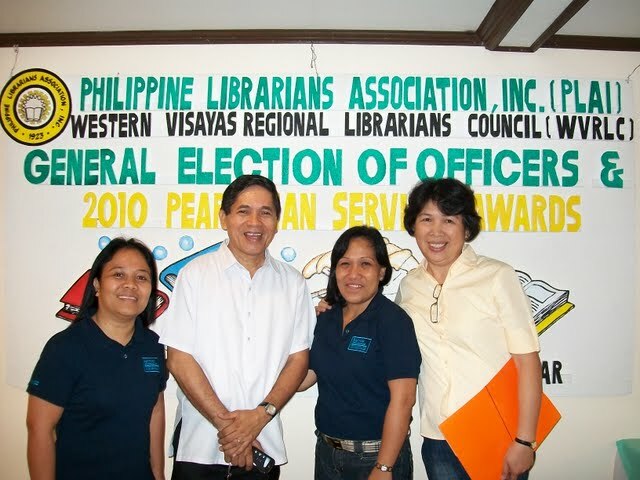 PLAI – Western Visayas Regional Council, General Election of Officers and 2010 Pearlinian Awards, on October 28, 2010 at Palmas del Mar Resort, Bacolod City. 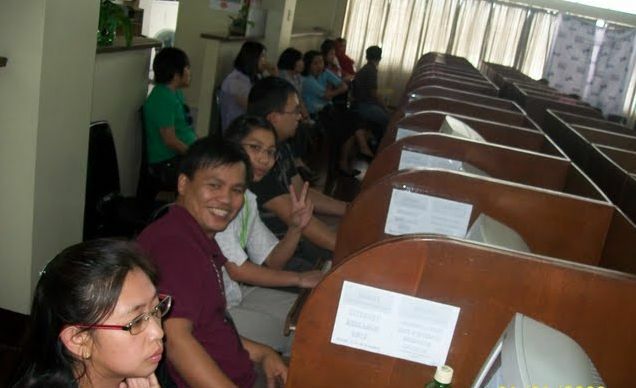 The 2nd day of this event (Oct 29, 2010) was a workshop on Machine-Readable Cataloging for which EISI provided the lecturer (Ms. Sharon Samaniego of De La Salle – Dasmarinas) and the course materials. 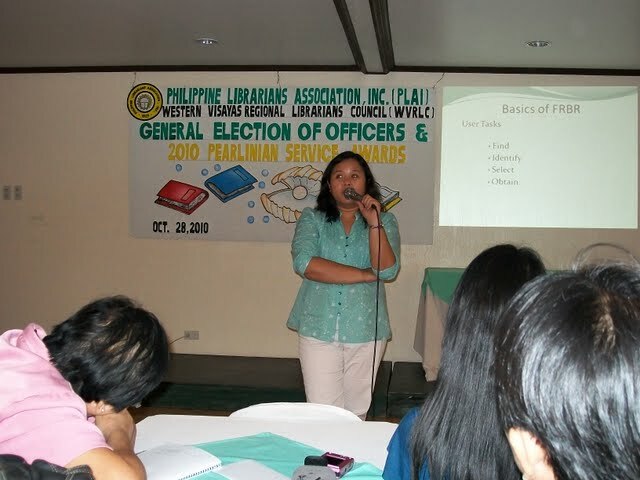 EISI is proud to be part of the Philippine library community in 2010 and looks forward to sharing these kinds of events in 2011. Posted by chachi24 in Company, Trainings & Events. 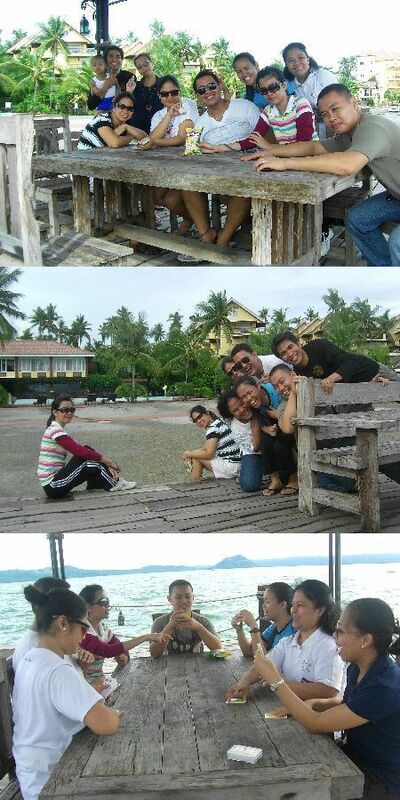 For this year’s company anniversary, EISI Managing Director Reuel T. Avila treated the staff to a short break in the scenic town of Talisay in Batangas last September 3, 2010. 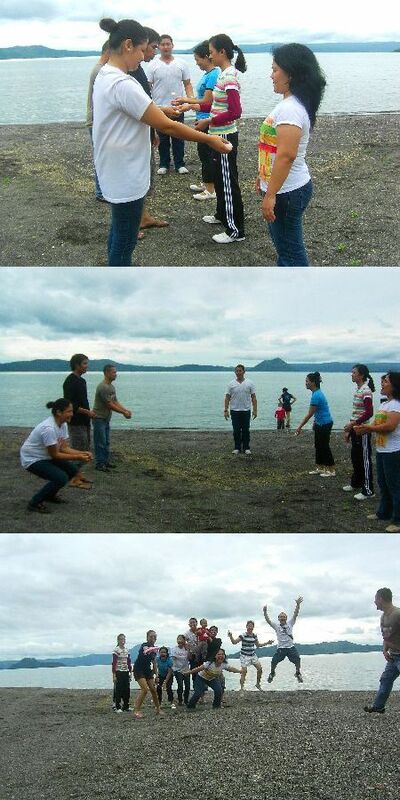 Food, games and a side trip capped the event, with Club Balai Isabel providing the perfect place for the activities. After indulging in sumptuous meals, frolicking in the lakeshore and indulging in numerous games and team-building activites, the comfortable overnight stay in the resort provided much relief for the whole day of activities for EISI employees! 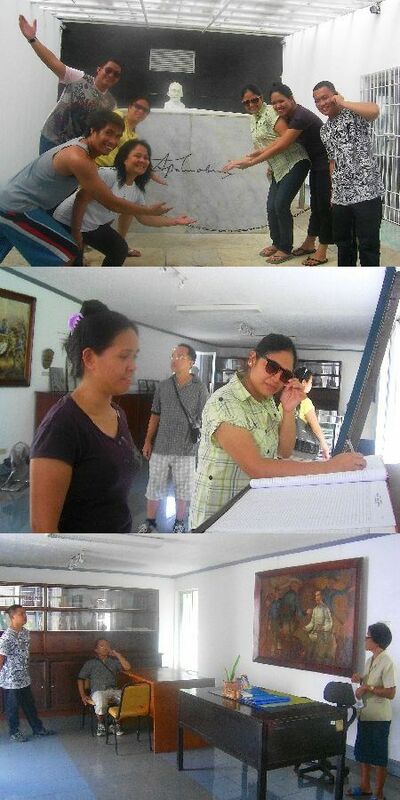 On their way home they visited the Apolinario Mabini’s birthplace and residence, now a national shrine, in Tanauan. Everyone was thankful for the treat and is looking forward to another fruitful year for the company and another memorable activity next year. 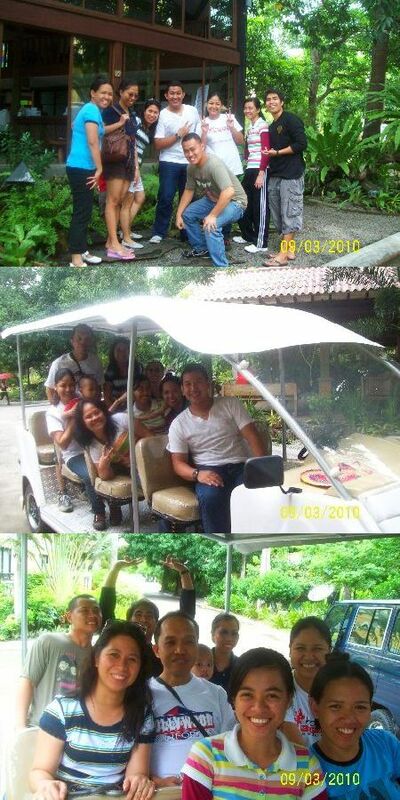 At the Balai Isabel clubhouse. 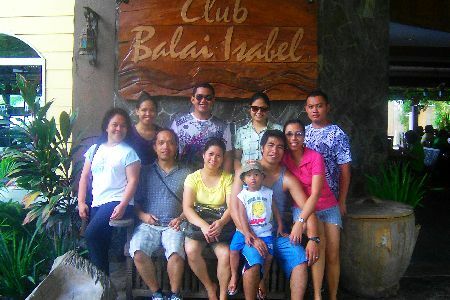 Arrival at Club Balai Isabel. 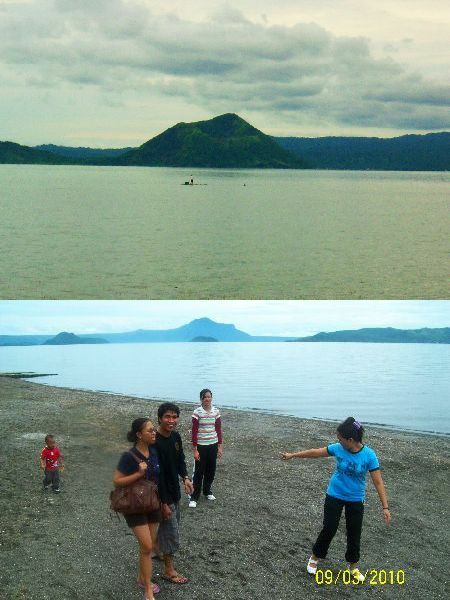 Sightseeing at the alluring Taal Lake. A restful and leisurely anniversary. 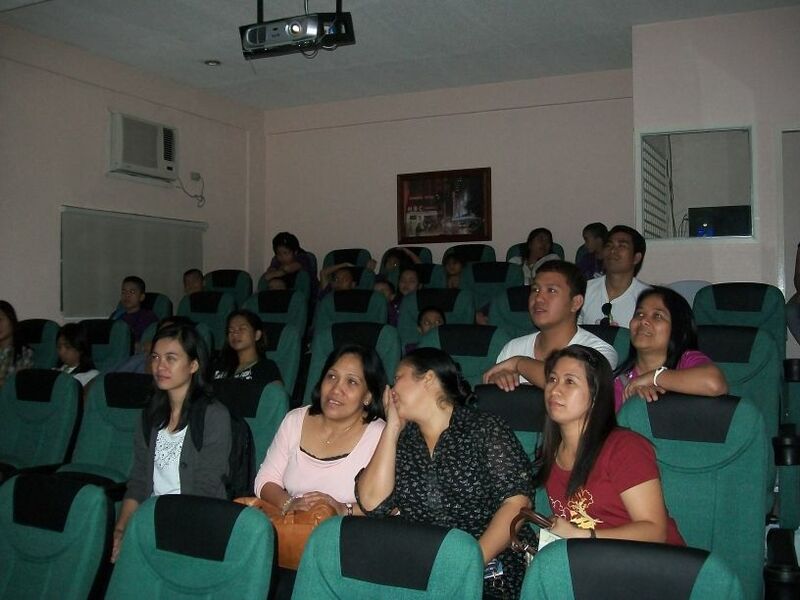 Posted by chachi24 in Company, Library, Library Automation, Philippine libraries, Trainings & Events. 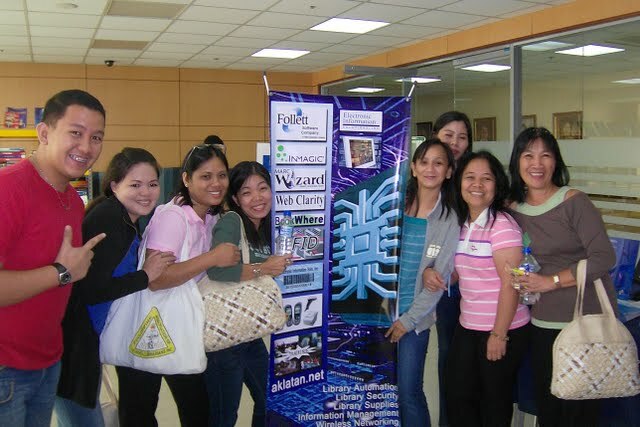 Last August 19 & 20 EISI joined the PAARL Parallel Session- Workshops on Library and Web 2011 which was held at Holy Angel University in Angeles, Pampanga. The 2-day event centered on lectures and discussions on library management, automation, tools, productivity, health and service improvement. 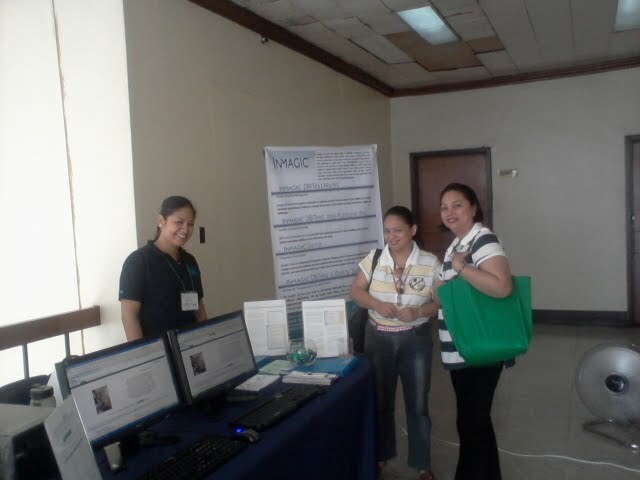 EISI Customer Service Supervisor Naidz Abragan, Area Representative Grace Babol and Sales Manager Axel Cabarles set up an information booth at the lobby of the Multifunction Hall and Audio-Visual Room of the expansive Holy Angel University campus. 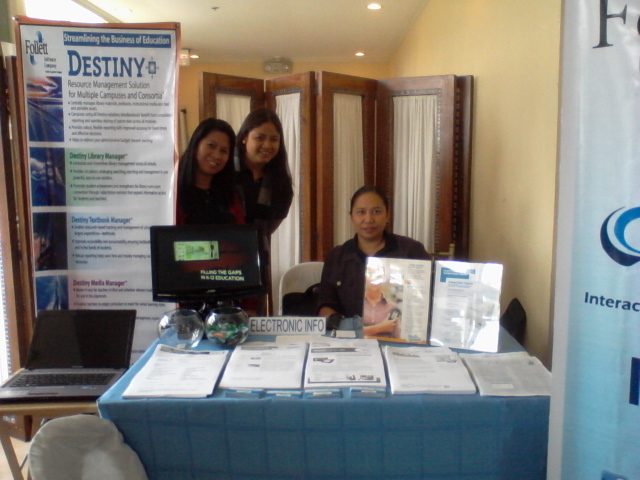 EISI is grateful for this opportunity to support PAARL’s activities to improve Filipino librarians’ competencies. 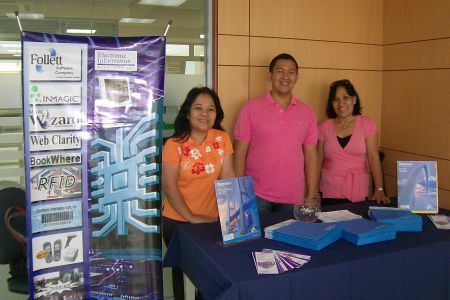 Service Supervisor Naidz Abragan, Sales Manager Axel Cabarles and Area Representative Grace Babol set up the EISI booth. The participants during a health break.